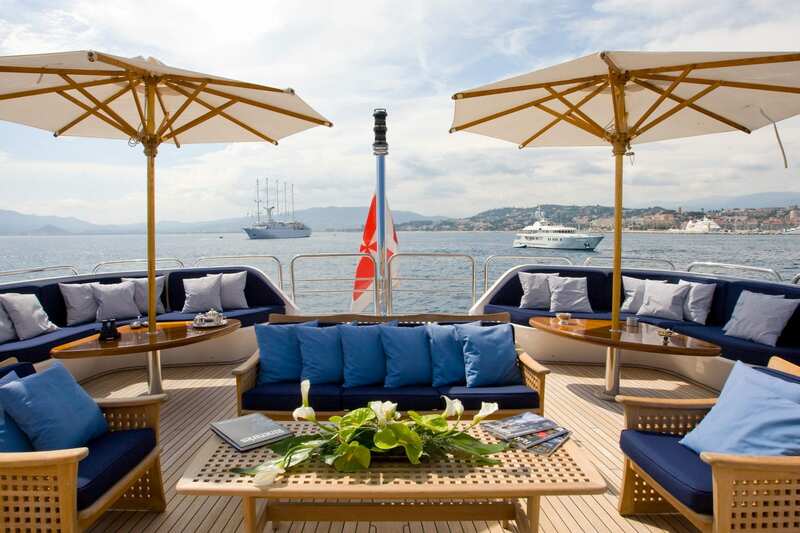 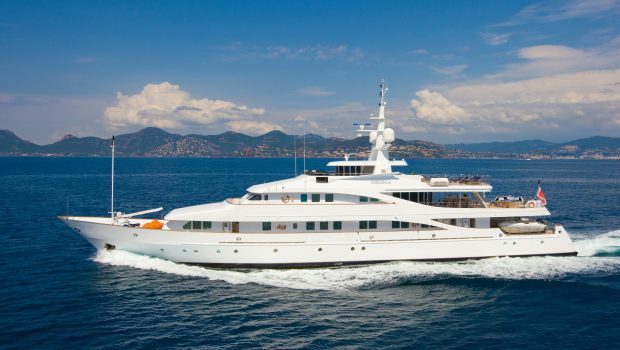 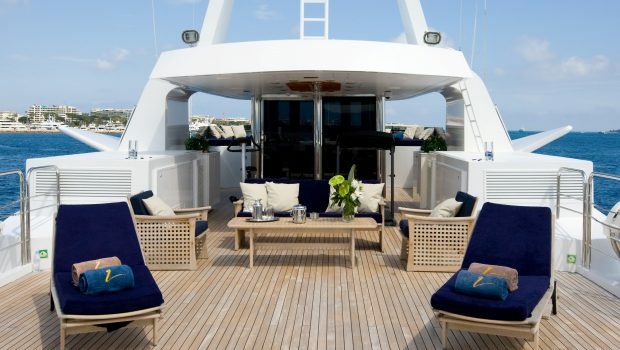 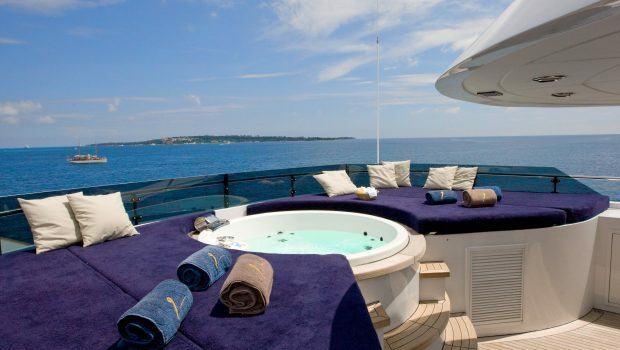 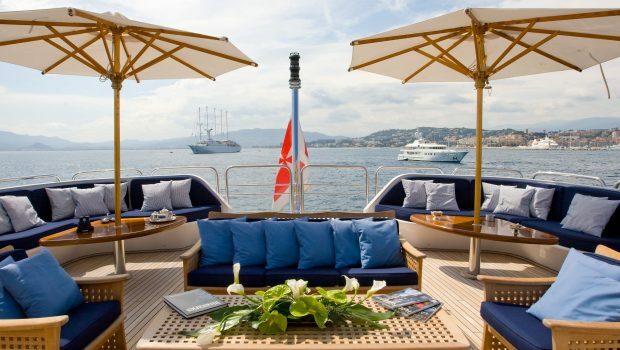 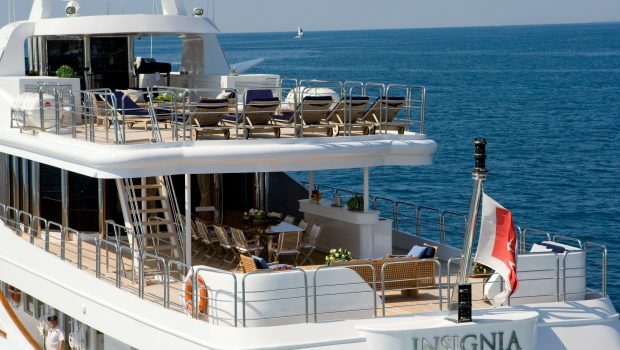 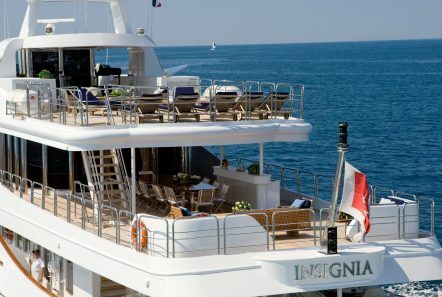 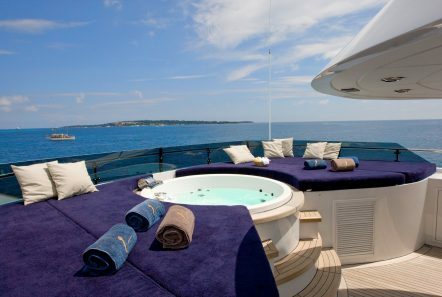 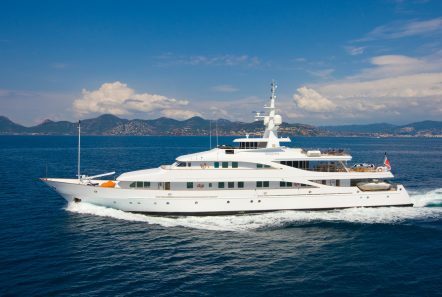 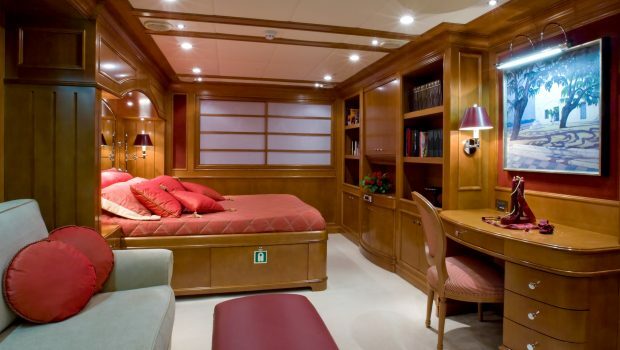 M/Y INSIGNIA is a lovely 1979 Classic Yacht of 55.5 meters in length which was fully rebuilt in 2003. She was built in Germany by the respected Elsflether Werft GmbH & Co. KG yard. With steel and aluminum being used for the construction, she can attain a speed of 15 knots. 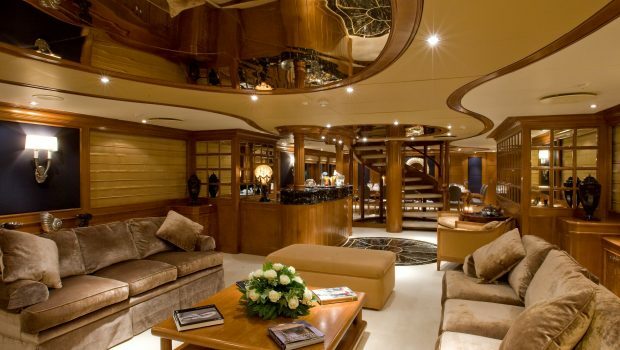 The vast and open Main Salon, with the stylish, yet modern Bar and Dining Room en suite, provides a comfortable, intimate and relaxing area for formal entertainment. 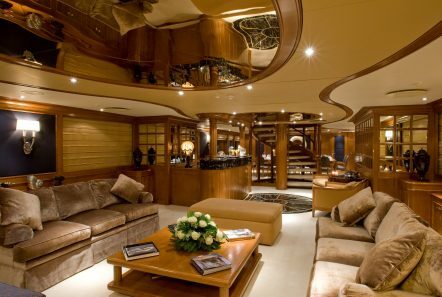 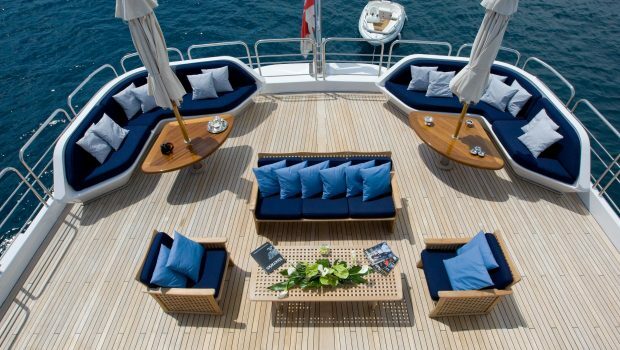 The honey-brown Tanganyika wood used throughout the yacht creates a warm atmosphere that complements the fittings and the generously proportioned sofas and armchairs in a harmonious environment. 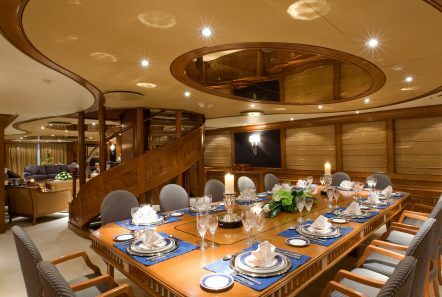 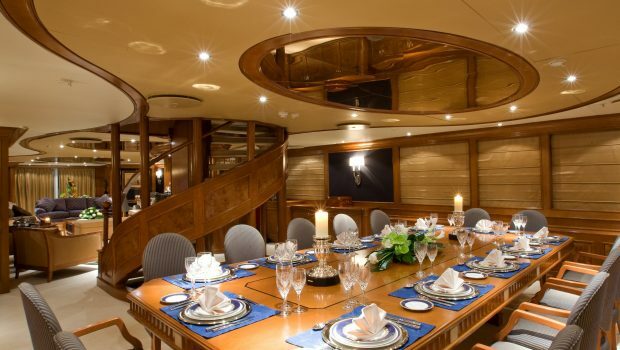 Visually separating the Salon and the Dining Room is the free-standing ornamental stairway which leads to the less formal entertainment areas on the Upper Deck.The Dining Room which comfortably seats a party of fourteen, offers a unique setting for exquisite candlelight dinners. 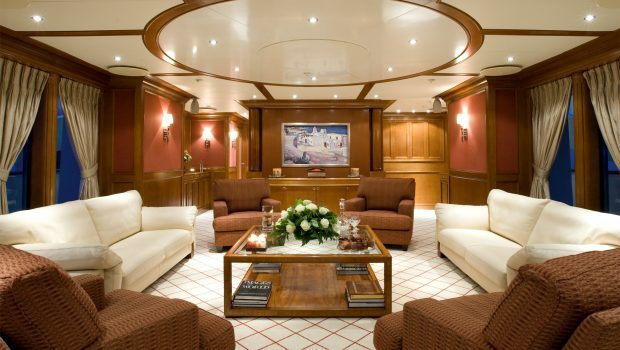 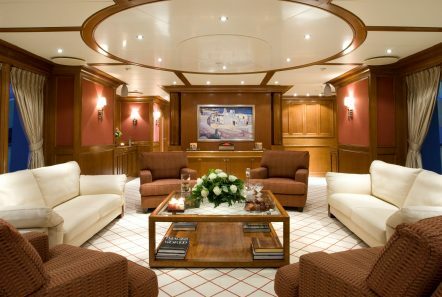 Beyond the Dining Room is the Main Foyer leading to the Owner’s Suite as well as to five guest Staterooms on the Lower Deck. 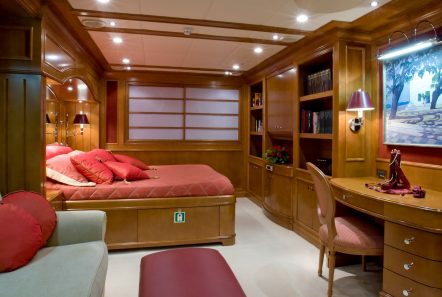 The Owner’s Suite includes a private study with internet/intranet access a spacious king size bedroom with a complete entertainment center, a large walk-in dressing room and “His” and “Hers” bathrooms en suite separated by a Jacuzzi tub. INSIGNIA’s functional and modern design allows easy access to all the exterior areas. 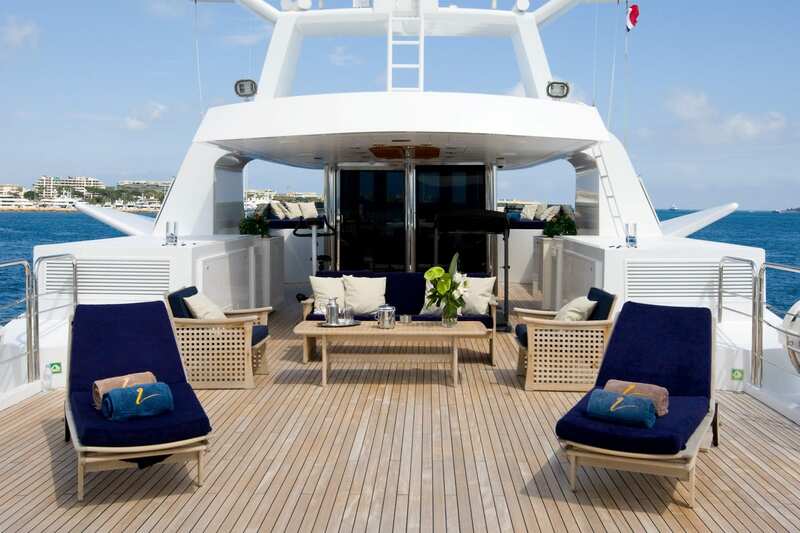 The Upper Deck’s 180 degrees glass-enclosed lounge, serviced by an open Bar, is equipped with a surround sound stereo system and a 52” Plasma screen. The doors open up access to an integrated open-air area for al-fresco dining for fourteen a Bar and a teak seating area. 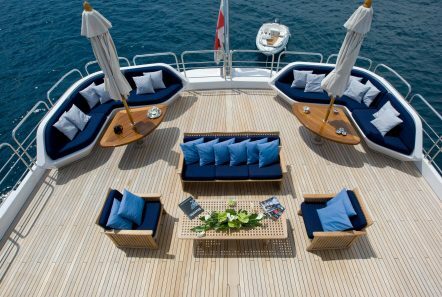 The Sun Deck invites guests to relax in the Jacuzzi surrounded by sun pads, or get exercise with the available gym equipment.